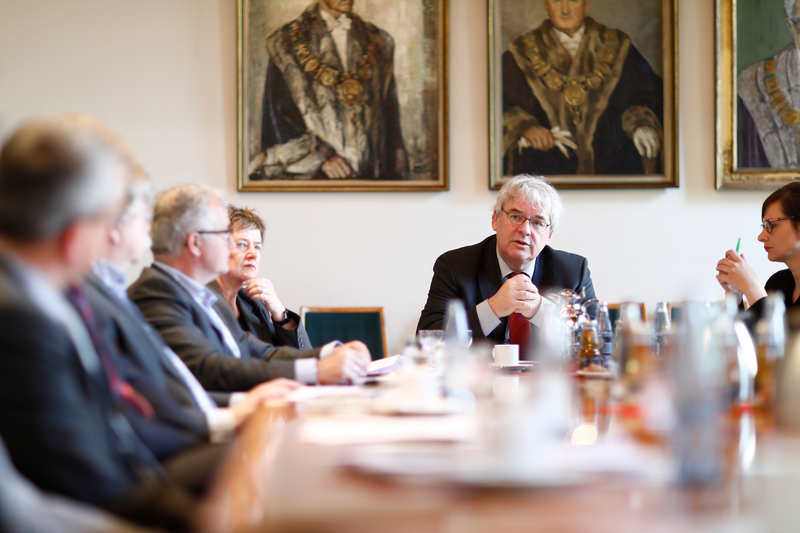 Last year in May, the University of Cologne has signed a cooperation agreement with the German-speaking Community (GC) of Belgium and the KU Leuven. The cooperation pursues the goal to promote research and collaboration in all areas that the German-speaking Community of Belgium deals with. In order to strengthen the cooperation, high-ranking representatives of the University of Cologne have welcomed the minister for education and scientific research of the German-speaking community of Belgium, Harald Mollers, as well as his advisors Dr. Michèle Pommé and Marliese Breuer. Catherine Müller was also part of the delegation. She is the head of Science for East Belgium (Wissenschaft für Ostbelgien, short: WifO), the cooperation center that has evolved from the cooperation agreement and is therefore primarily responsible for coordinating and conciliating between the contracting parties and third parties from the public sectors and their inquiries. 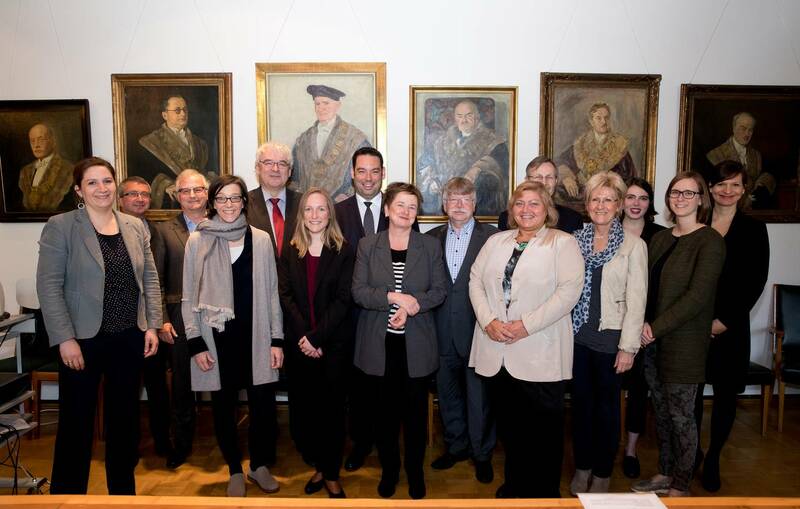 The University of Cologne was represented by rector Prof. Dr. Freimuth, Chancellor Dr. Stückradt, the former vice-rector for international affairs Prof.’ Dr.’ Gudrun Gersmann, as well as her personal aide Dr.’ Susanne Berger and Mrs. Wurth from the vice-rectorate of international affairs. Dr. Bildhauer, head of the International Office of the UoC and Mrs. Biehl, head of the department “International Mobility” at the International Office took part as well. Prof.’ Dr.’ Rosen and Mrs. Dziak-Mahler covered the areas of teacher training and inclusion. 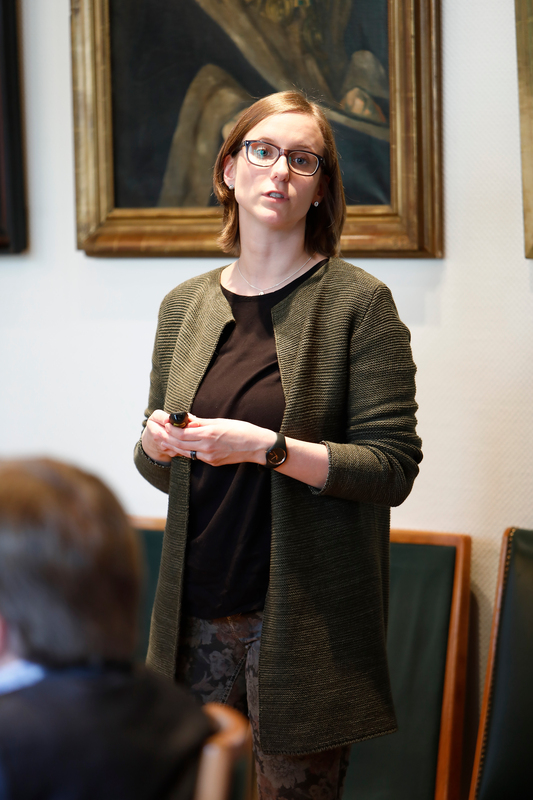 The dean of the Faculty of Management, Economics and Social Sciences, Prof. Dr. Mellis and the Rectorate Commissioner for Alumni, Fundraising and Research Transfer, Dr. Minz could contribute their economically oriented expertise. Rector Freimuth warmly welcomed the delegation in the old senate hall of the University of Cologne and stressed the importance of the meeting for the identification of concrete fields of cooperation between WifO and the UoC. After a short introduction of all participants rector Freimuth presented the university’s major institutions and fields of research and thereby opened up new possibilities of cooperation. Also the location of Cologne raised the interest of the visitors: Cologne as the city with the highest amount of start-ups (after Berlin) offers WifO plenty of opportunities of collaboration. WifO-coordinator Mrs. Müller answered the presentation with an introduction to the structure and the previous work of the cooperation center since the signing of the agreement: In the areas ‘culture and youth’ as well as ‘health and senior citizens’ intermediation has taken place. In addition, an inquiry from the parliament of the GC on research on federalism for the Cologne Center for Comparative Politics was put into practice. 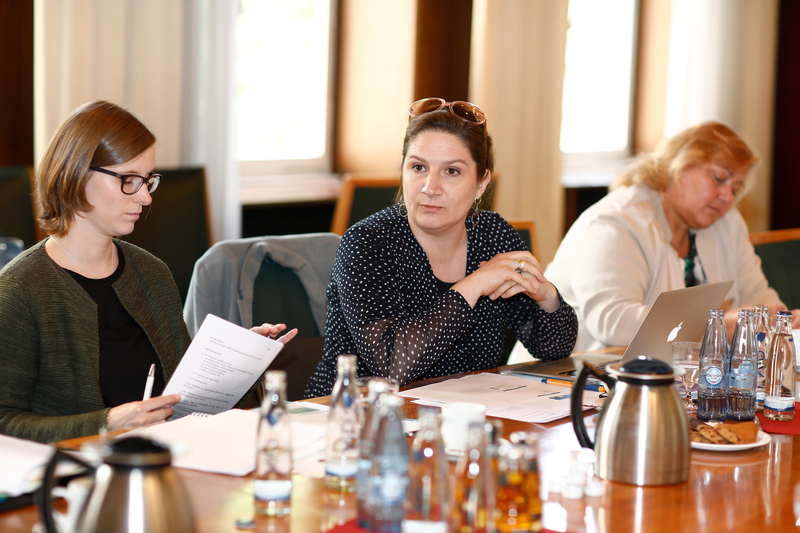 As teacher training and inclusion is an especially significant area for both cooperation partners, Mrs. Dziak-Mahler, head of the Center for Teacher Education (Zentrums für LehrerInnenbildung, short: ZfL) began to speak. She remembered a fruitful pre-cooperation agreement meeting with the head of the section teaching staff of the ministry of the GC and stressed the willingness of her center to cooperate with the GC in the area of teacher education. Like Mrs. Dziak-Mahler, Prof.’ Dr.’ Rosen, scientific director of the inclusive university school, put forward tangible proposals for collaboration between the UoC and the GC in the area of teacher education with the inclusive university school and, more precisely, in the area migration/diversity. Furthermore, she invited representatives from the GC Ministry of Education to join a colloquium she organized: Migration, Multilingualism, and Education in France and Germany: Critical Perspectives on Inclusion in Strasbourg. Following the “official part” of the meeting, a standing lunch provided the opportunity for further and more thorough exchange.